Due to the application scope issue, this product is not include controller anymore. VeeR Fabric VR headset are compatible with most VR video apps. 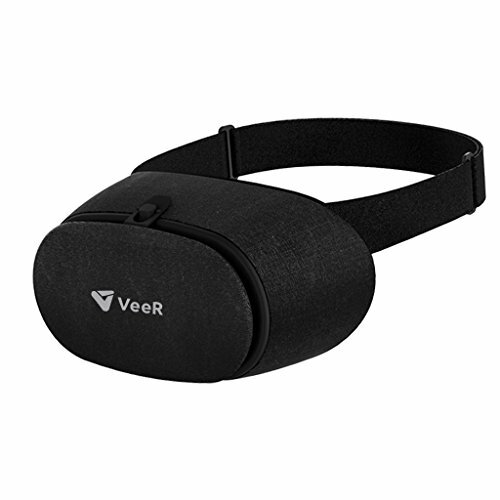 •√ Designed for Comfort -- VeeR Fabric VR headset made with high-end Dragon cloth reducing item weight to 0.46 lb. Its handmade materials together with an ultra-light body allow for a comfortable watching experience. •√ Immersive VR Experience - Progressive spherical lens using resin lens imported from Japan, offering a frictionless transmission rate, optical design, and tested focal length applying to various smartphone sizes to bring you cinematic HD visuals for an exciting immersive experience. •√ Advanced Heat Dissipation System -- Special radiating hole design to carefully protect your smartphone from overheating with a breathable mask to give you an endless viewing experience. •√ Limited Time Promotion -- Purchase our headset and get $80 VeeR VIP membership card for free. Please note that due to connection problem, the controller is no- longer available for this product.